Calgary City Council voted late Tuesday night to move forward with its Olympic bid process and hold a plebiscite of Calgarians in November. The 12-3 vote to hold the plebiscite came after a lengthy council meeting and two closed-door sessions to discuss the bid for the 2026 Winter Olympics. The vote had been called the "final off-ramp" in the city council debate over whether Calgary should host the Games, with some councillors concerned voters wouldn't have enough information to make a fully informed decision about an event with a price tag in excess of $5 billion. Councillors Sean Chu, Joe Magliocca and Druh Farrell were the three who voted to halt the process. "We don't even know how much the provincial government is going to put in, or even if they are going to do it at all," said Chu. "We've been promised that and we've been promised many things and we don't have any numbers." Chu said it wasn't an easy vote for him but said he doesn't feel Calgary has enough information to proceed. NoCalgaryOlympics put out a statement saying the group is disappointed council didn't vote to kill the bid process. "Without full and thorough information on cost plus opportunity cost, and the critical cost sharing agreement still outstanding, City Council had good reason to take the off-ramp today," the group said. Mayor Naheed Nenshi said the more important move by council Tuesday was a 10-5 vote to continue negotiations with the federal and provincial governments about funding. "Is there enough information here to go to the people and let the people decide in a plebiscite?" Nenshi asked prior to the vote on the plebiscite motion. "Based on what I've heard today I certainly think that, with the exception of the piece on the actual share from the provincial government, we're ready to go to a plebiscite. The plebiscite is slated for Nov. 13. 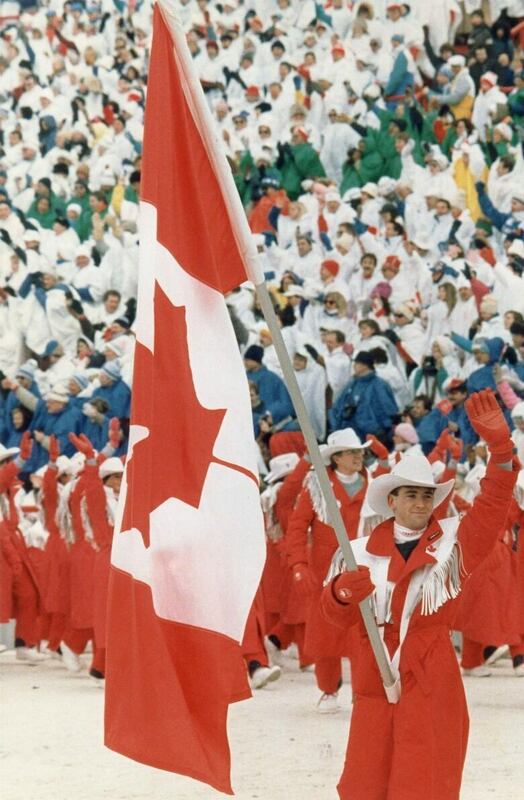 Calgarians will be asked whether they support or do not support the bid for the 2026 Winter Olympic Games. Early Tuesday afternoon, the organization tasked with exploring a possible bid announced hosting the 2026 Olympic and Paralympic Winter Games in Calgary would cost about $5.23 billion. The new estimate, part of a draft plan prepared by Calgary 2026, is nearly $1 billion more than that of the Calgary Bid Exploration Committee, which pegged the price at $4.6 billion in June 2017. Calgary 2026 said Tuesday that $3 billion would have to come from taxpayers, via city, provincial and federal funding. 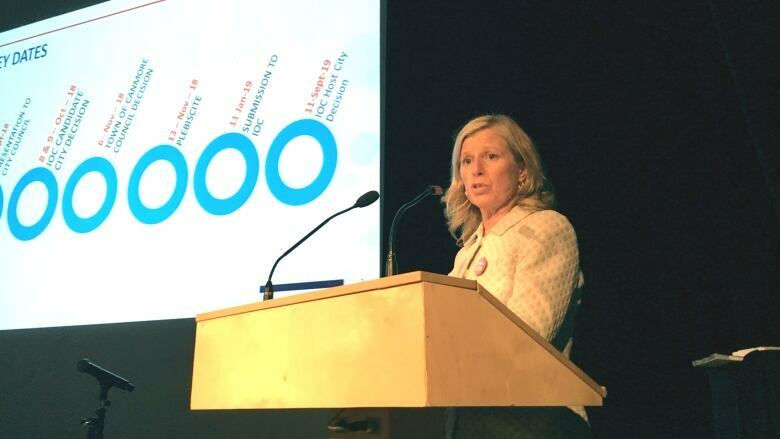 The cost breakdown for each level of government is not known, but Calgary 2026 president and CEO Mary Moran said she hopes to know next month — 30 days before a Nov. 13 plebiscite about the Games. Moran said the first step was calculating the $3 billion figure. "Now we've got to go have the conversation — who pays for what," she said. All figures are in 2018 dollars. Calgary 2026 says it didn't include the potential rate of inflation over the next eight years — which it estimates will be 2.25 per cent annually. The plan includes two new facilities in Calgary — a fieldhouse that would host figure skating and short track speed skating, and a new mid-size arena capable of seating 5,000 to 6,000 spectators. Both facilities would be located adjacent to McMahon Stadium, home of the Calgary Stampeders, which would be upgraded to also host events. The rest of the events would be held in refurbished venues dating from the 1988 Olympics in Calgary, Canmore and Kananaskis. Ski jumping and combined Nordic events are planned for Whistler, while the location of curling facilities is to be determined. 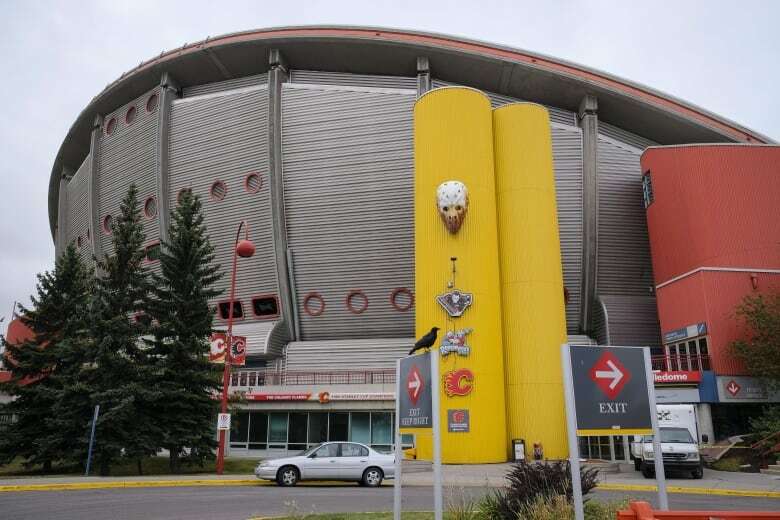 The draft plan also calls for a revamp of the Saddledome rather than a new NHL-calibre arena — which has recently been discussed — although there is a caveat saying a new arena could be incorporated into the plan. There are also plans to upgrade the BMO Centre. There are no figures included for potential infrastructure investments, including possible transit expansions. Moran said that's not within the organization's purview. "We would say that's not part of the Games," she said. "If cities and provinces and countries decide to invest in other things… Those would not be a necessity for the 50 days of the Games." Moran said Calgary 2026 anticipates $7.4 billion worth of economic benefits coming into Calgary and Alberta from the Games. She also said there would be $2.2 billion of private investment that would not materialize without the Games. Moran said she doesn't see any other economic development project with the same kind of return on investment. "This is the one initiative that will put people back to work right away," she said. There will also be housing left behind. The draft plan anticipates spending $583 million on accommodations for athletes and others that will be turned into housing after the Games. Calgary 2026 said only 20 per cent of that housing would be put on the market, with the remainder set aside for affordable, senior and student housing. The athletes village in Calgary would be in the Rivers District, acting as a catalyst for East Victoria Park, which is slated for redevelopment and has been touted as the location for a new arena. The budget includes contingency funding in case of cost overruns, built into every capital project. Any money remaining in the contingency fund would either be invested into a community fund or returned to government. "In our view, there's much more potential for cost savings than there are for overruns," said Moran. The draft hosting plan is being presented to Calgary city council on Tuesday afternoon, providing one more opportunity to exit the bid process before the planned plebiscite. The IOC's deadline to submit a bid is January. IOC members will vote on a host city in September 2019.